Nowadays, blocking a call is as easy as putting the icing on the cake. A smartphone user can easily block someone by a mere touch on the phone. Access to the favorite song is also one touch away but life was not that simple for the individuals born in 90’s. 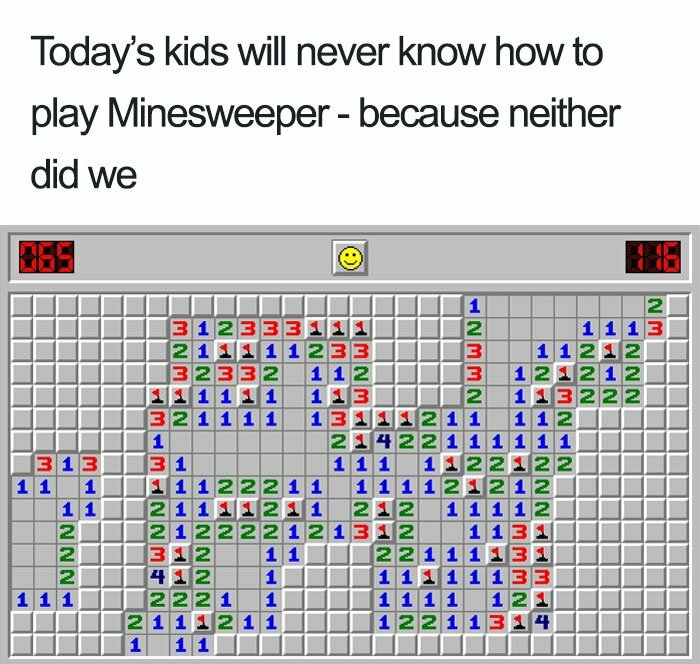 There is a room for nostalgia in everyone’s heart but the kids of the 90’s take the internet by storm with their sentiments. The childhood of 90’s kids is surrounded by plenty of things. 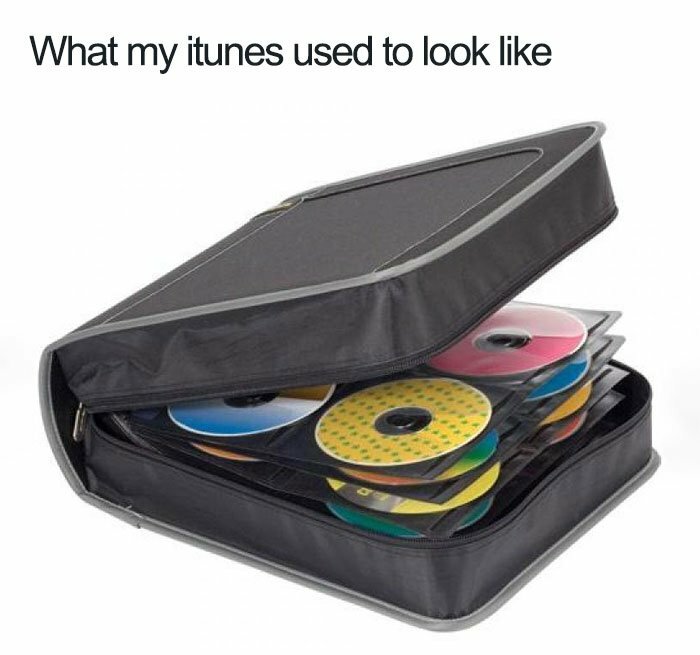 Things like Tamagotchi and a CD player that wouldn’t fit into the pocket and so on. Almost none of these things are available now and one has to remember these things to keep them alive. 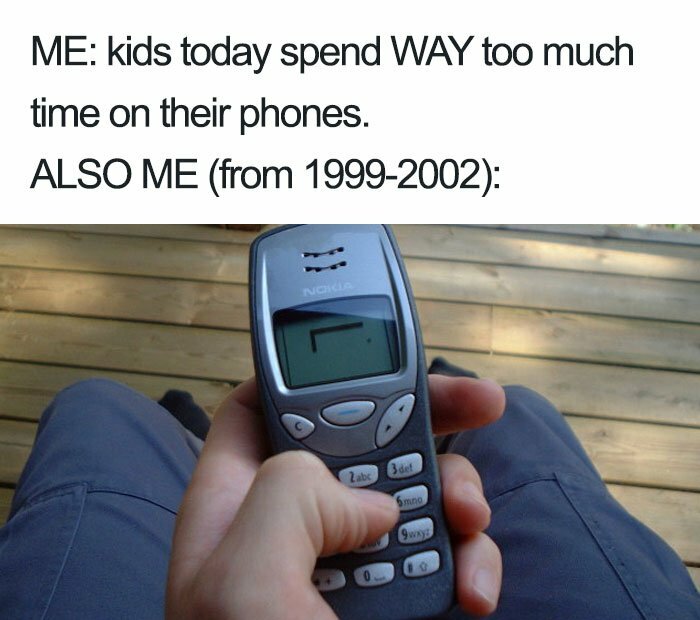 As the current teenagers spend most of their time on the internet, so creating memes to recall the 90’s things is the best possible way. A list of images was revealed by Bored Panda to recall the struggles 90’s kids faced. The gallery shows how people used to leave the phone by the hook to avoid phone calls and how people spend hours in the library to do research. 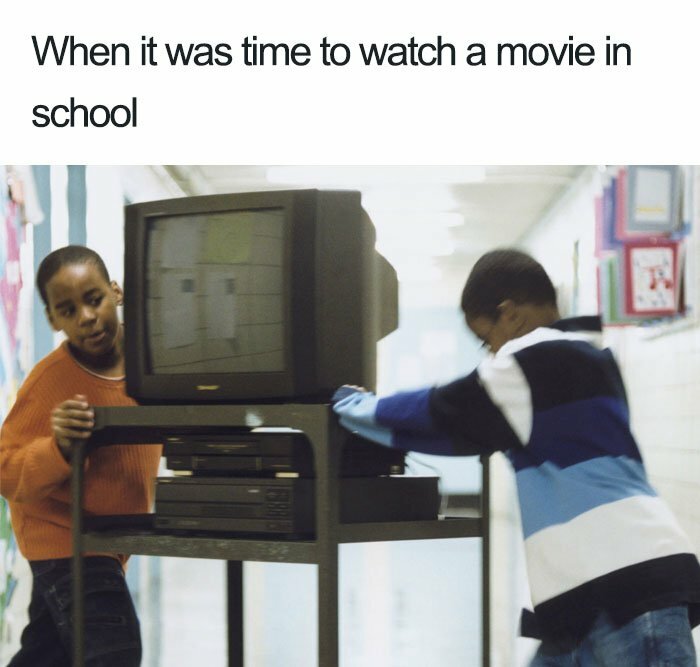 To watch a movie in school meant to hope that the video player was working fine. The 90’s kids were used to listen to the music by hanging a Discman in their pocket. Have a look at the galley below. 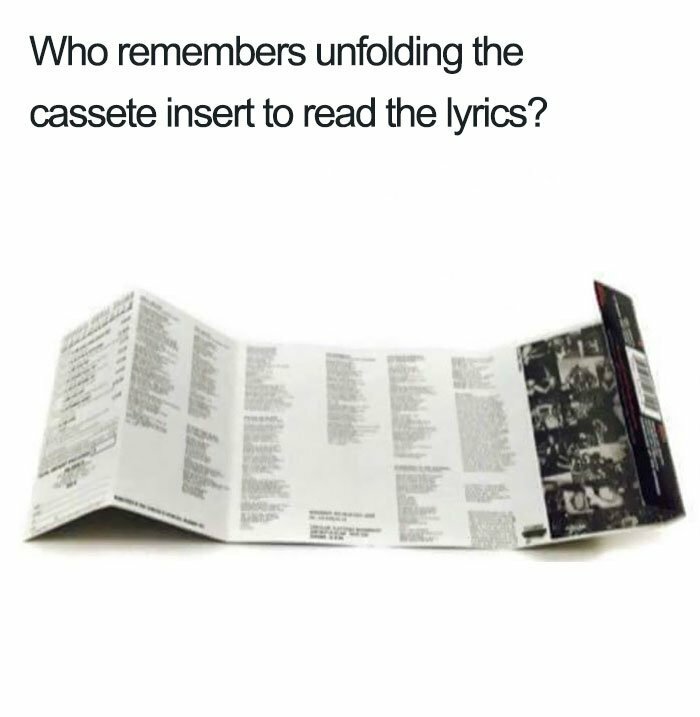 In 90’s, kids used to remember the lyrics of songs by reading the cassette insert. 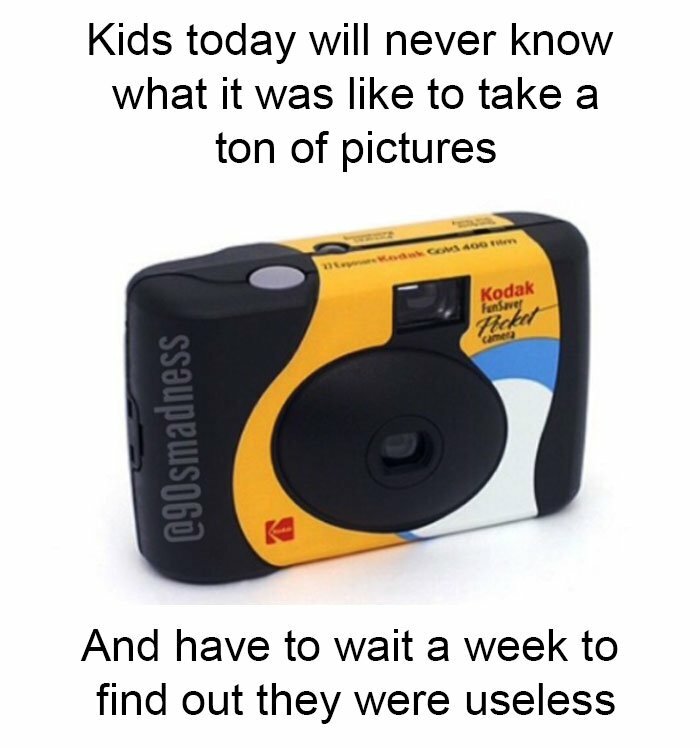 Now kids use smartphones for taking selfies but they will never know what it was like to take a ton of pictures and then wait for the whole week to figure out that all the pictures were useless. 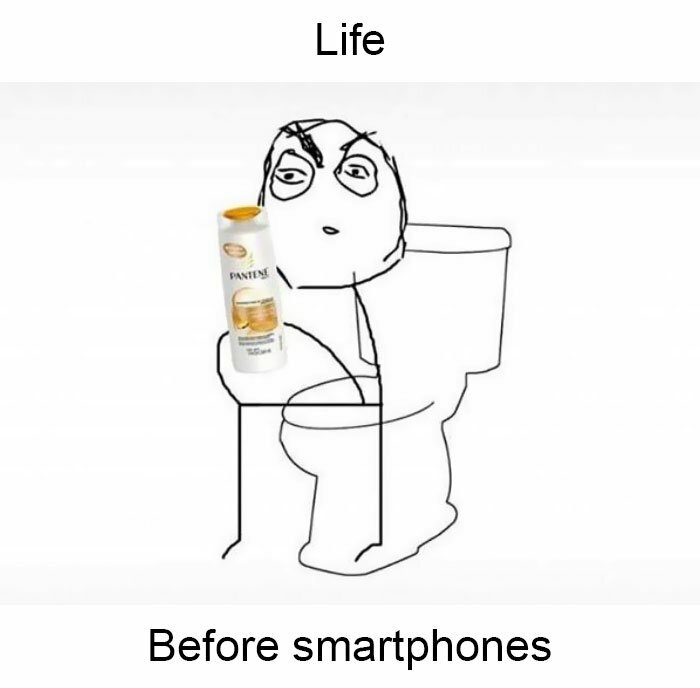 Nowadays, people use a smartphone to spend their time in the bathroom but back in 90’s, when there was no smartphone, people used to read the back of shampoo bottle to pass the time. 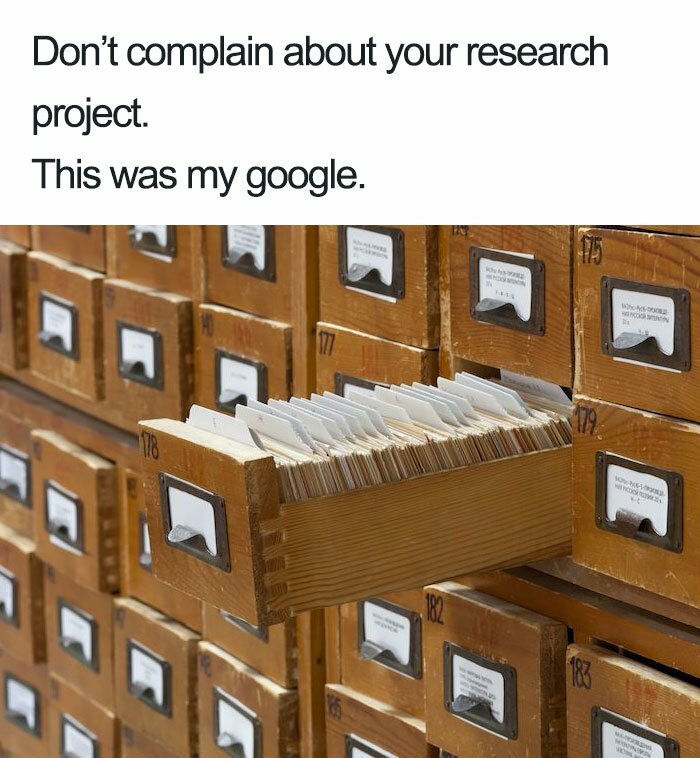 When there was no Google, kids use catalog cards to find the concerned book. 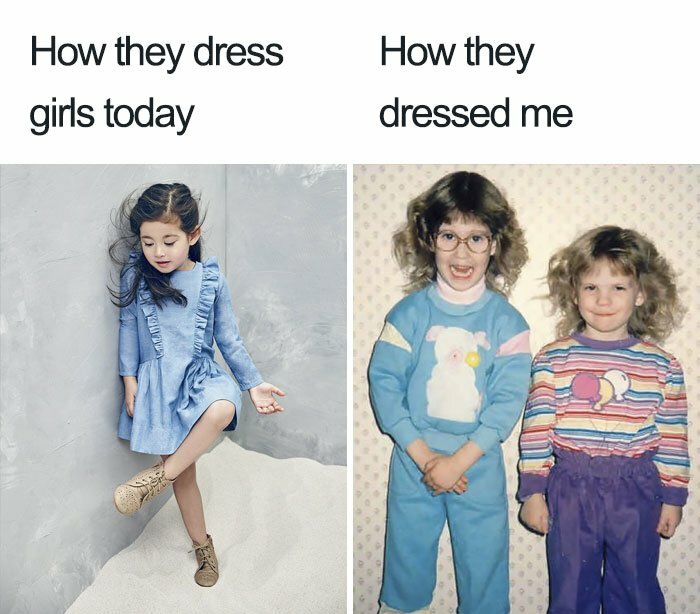 Nowadays, there are plenty of cute fashions available for the kids but in the early days, most of the kids have a look like cartoon characters. 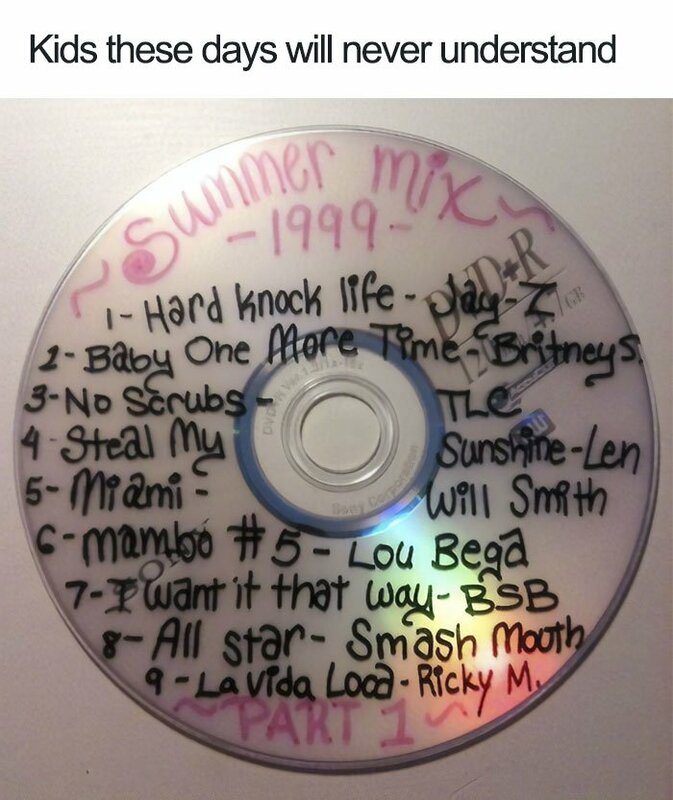 As there were no streaming services in 90’s, kids used to remember their favorite songs by writing the track number and name on an empty disk. 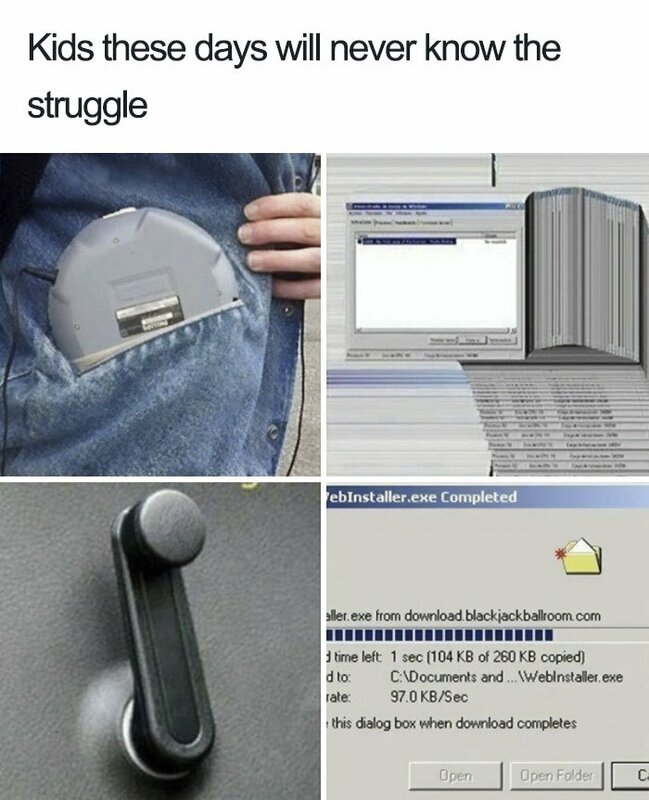 The technology wasn’t that speedy in 90’s as kids wait hours for a tiny file to download. Also, PC’s took hours to copy a file. 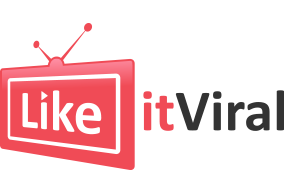 Watching the movie in school class was one of the best memories of the 90’s as kids prayed for the TV to work properly. 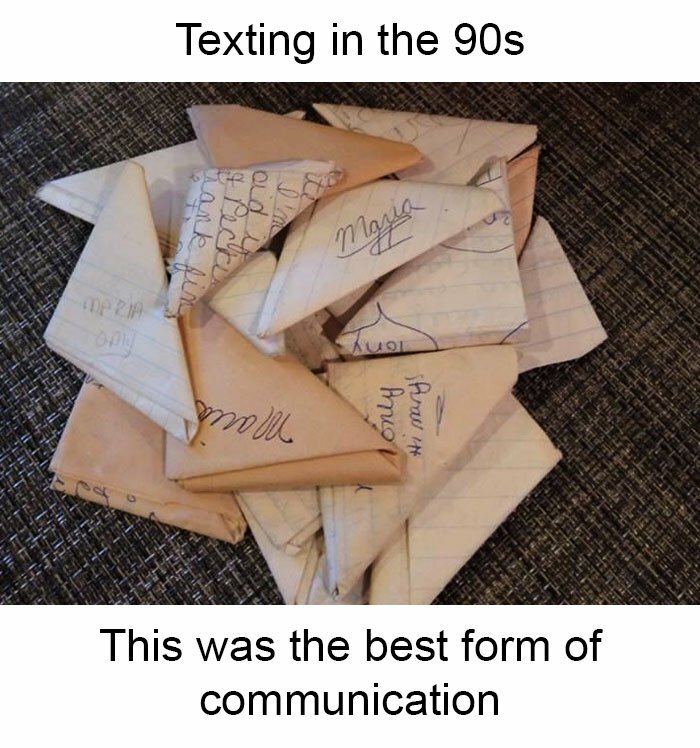 There was no concept of WhatsApp, Messanger, and Mail at that time and kids used to communicate with each other by writing the message on a paper. There was no iTunes or Google Play Store in 90’s but the kids have their own customized music store which consists of their favorite music collection. 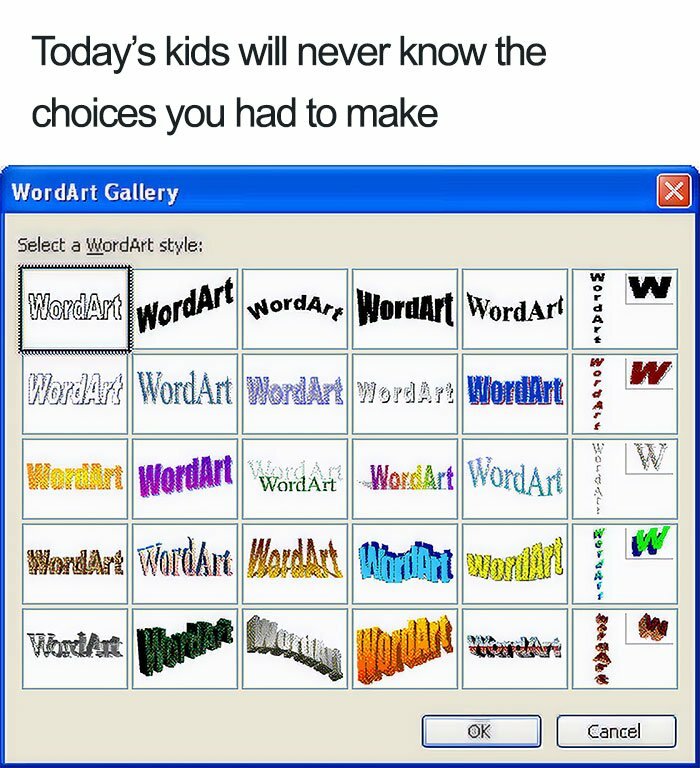 In the absence of graphics tools, 90’s kids had a limited option for choosing the font and style from the art gallery. 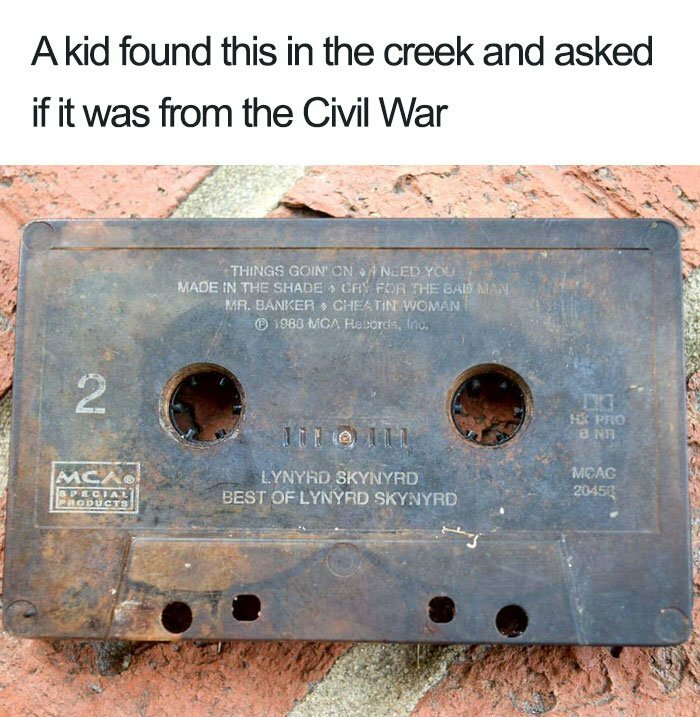 Kids born after 2000 will recognize this as something belonged to a civil war but that was the only source of listening to the music for 90’s kids. 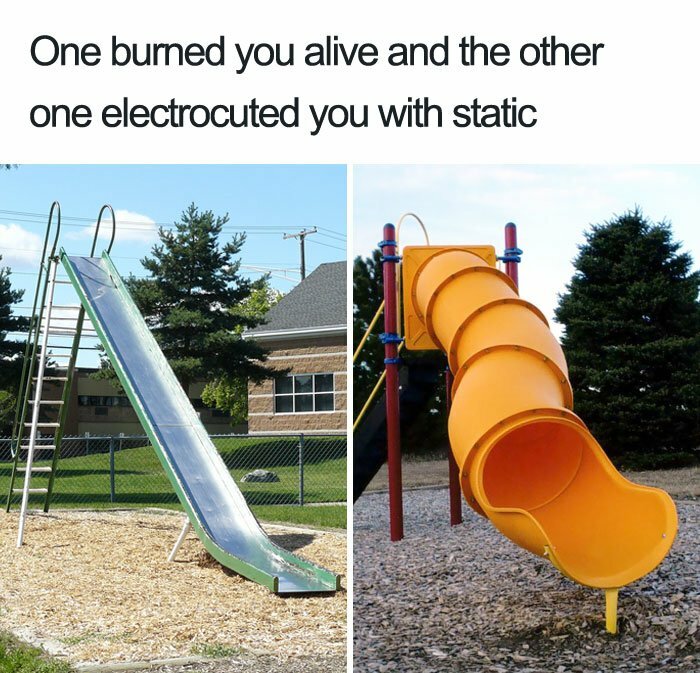 In this meme, one can see the dangers of playgrounds for the 90’s kids. Nowadays, kids have more safe playground activities. Pens with detachable tops – one of the finest memories for the 90’s kids. 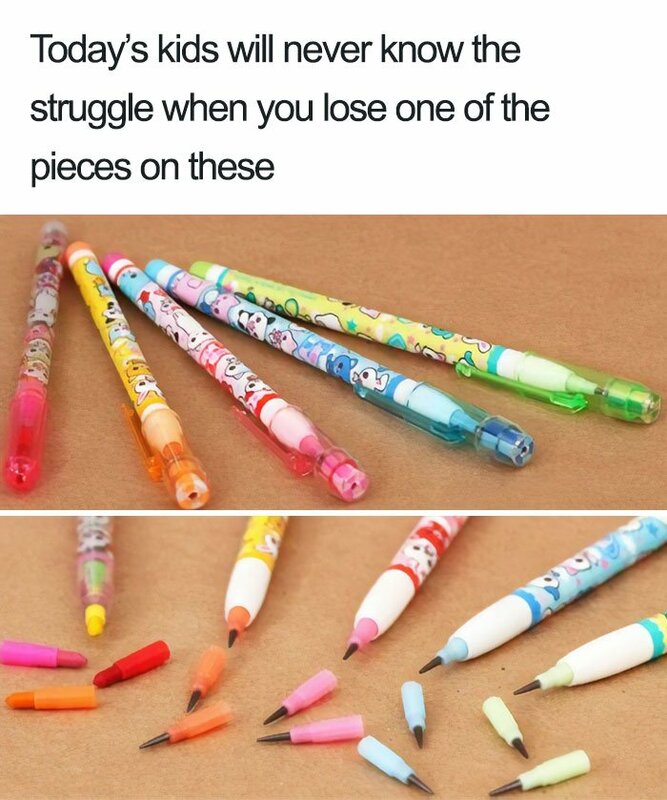 People now remember the struggle they faced when one of the pen pieces detached. 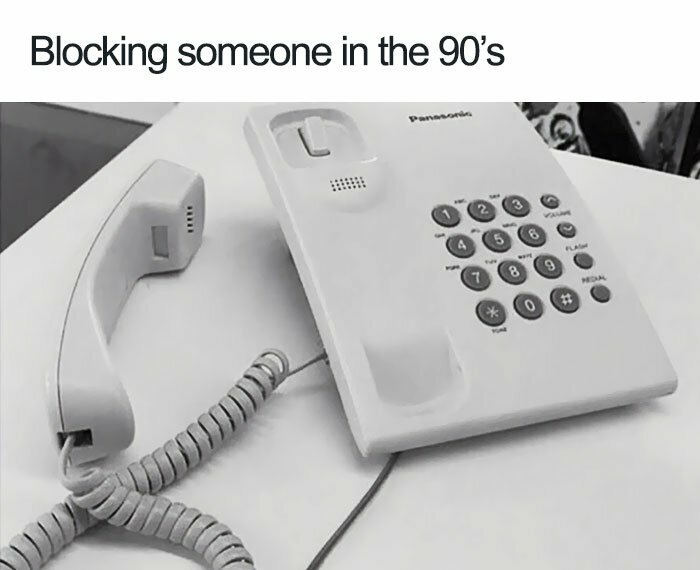 The only way to block people in 90’s. 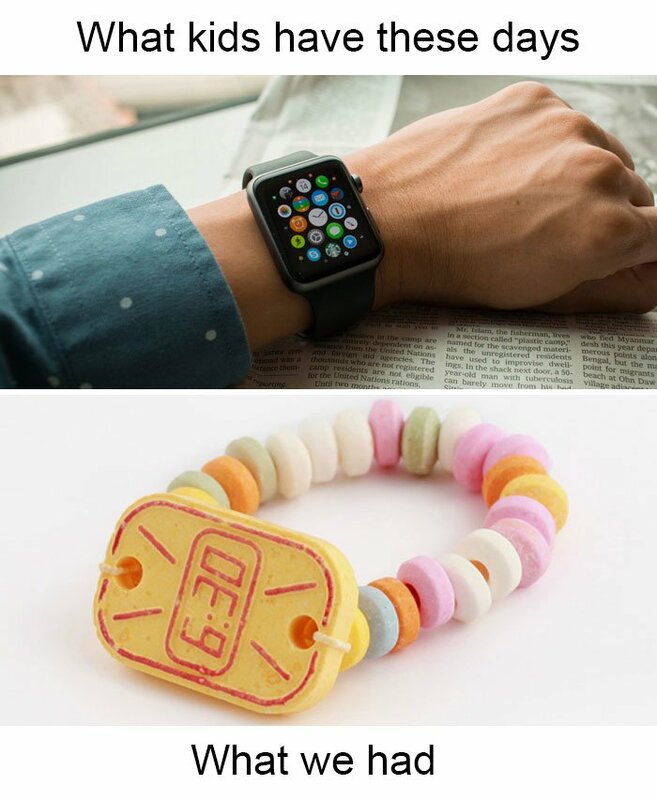 The Apple Watch vs the candy bracelet. Does Apple know that its forerunner had better taste? 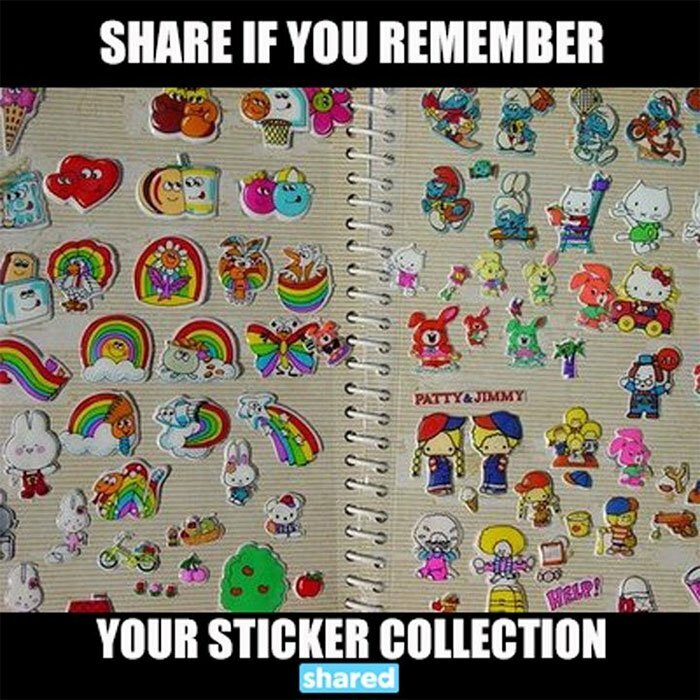 Collecting stickers were one the finest hobbies for the kids of 90;s.
Minesweeper was the only popular computer game at that time. 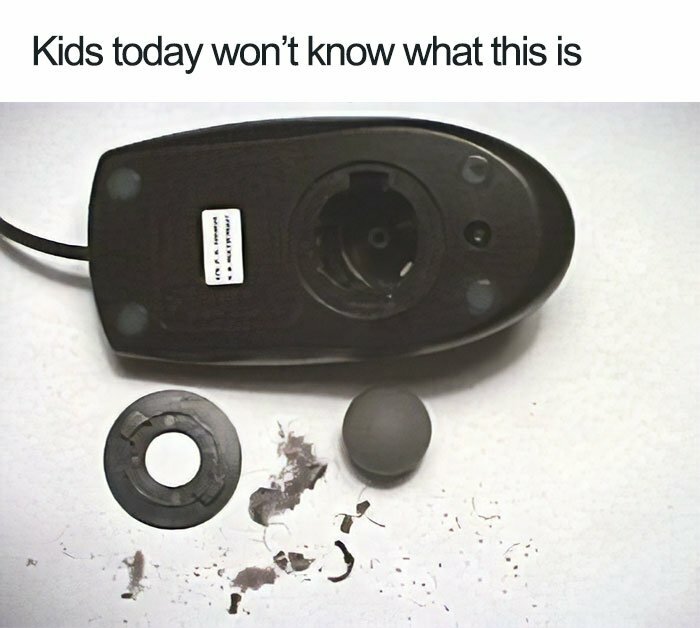 Back then trackball of the mouse was a source of amusement for the kids. Snake game was the favorite mobile game at that time. 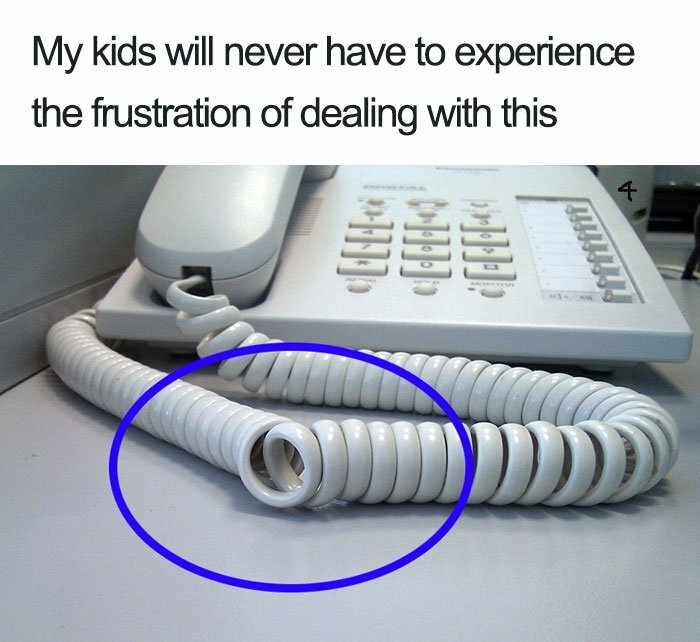 Nowadays kids will never face a problem like this. 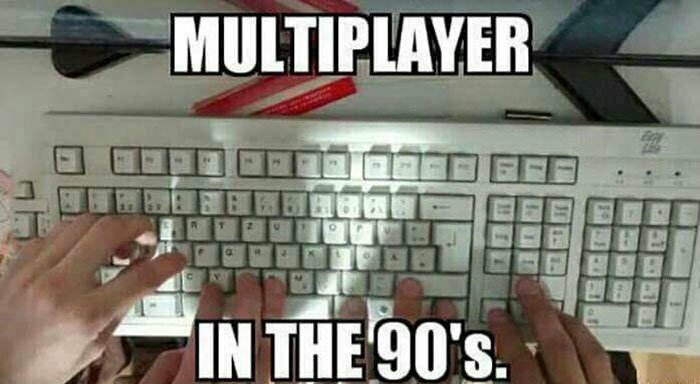 There was no concept of joypads or joysticks at that time and kids share keyboard for a multiplayer game. 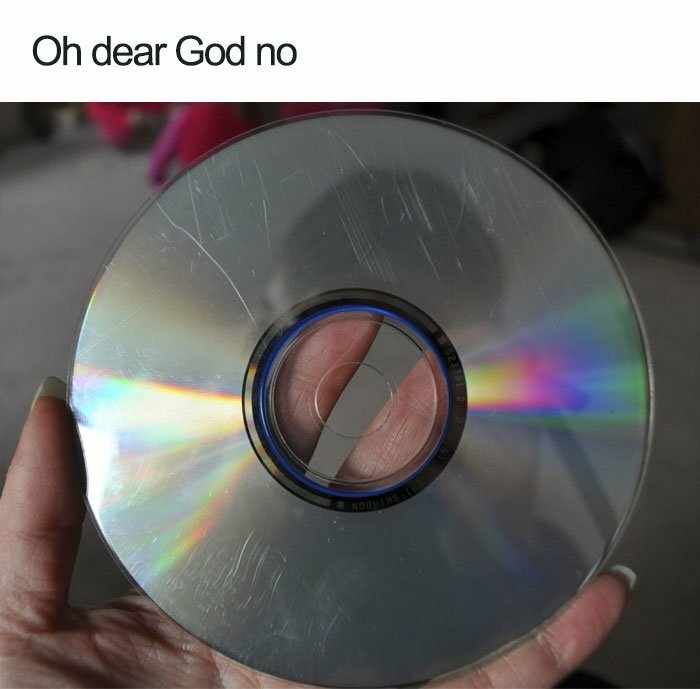 A CD with scratches was a real headache for the 90’s kids.